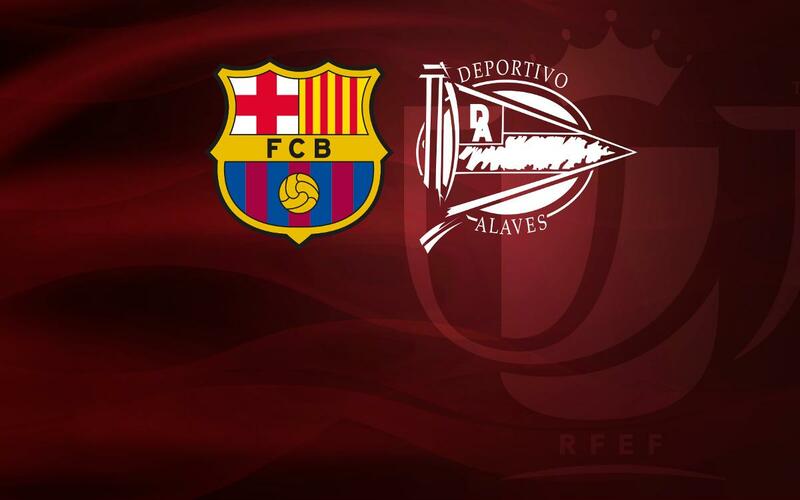 FC Barcelona will face Alavés in the Copa del Rey final after Mauricio Pellegrino’s men defeated Celta Vigo in the second semi-final of the tournament with a solitary goal from Edgar on Wednesday night. The 0-0 draw at Balaídos a week before set up a juicy encounter at a heated Mendizorrotza and, with the score goalless again until the 80th minute, it looked as though the tie was headed to extra-time. But up stepped Edgar who marauded through the Celta backline and smartly finished to send Alavés through to the cup final for the first time in their history. Barça have met the side from Vitoria on five previous occasions in the cup, and have a very good record with the Catalans progressing on each occasion. Only twice have Barça lost, both away from home: the first defeat dates back to 1929/30 (2-1) and the other was in 77/78 (1-0). The last tie was in 2012/13, when Alavés were in the third tier of Spanish football – Barça won 3-1 at home and 3-0 away. To get to the final, Alavés overcame Gimnastic Tarragona in the Round of 32 (6-0 aggregate), Deportivo in the last 16 (3-3 aggregate but progressed on away goals rule), Alcorcón in the quarters (2-0 aggregate) and finally Celta in the semis (1-0 aggregate). Even though the cup final is not until 27 May, this weekend provides the ideal chance for Luis Enrique’s side to get to know their opponents a bit better as they face off in Week 22 of La Liga. Alavés in fact pulled off a shock 2-1 win over Barça earlier in the campaign at Camp Nou so, along with the Copa final date booked, Saturday’s game will contain an added spice.